COMMENT: Where were you on 9/11? No 1 Traveller, the airport hospitality specialist, has signed a deal with Stansted Airport to launch a trial of what it calls ‘Premium Departures’, a new Fast-track product that allows passengers to purchase speedy access through airport security. Operating 04:30-20:30 daily Premium Departures by No 1 Traveller gives the opportunity to buy the speedy access through security for just £5.per person (£4 if purchased online in advance). Previously restricted to Business Class passengers and invited guests or travellers with a particular frequent flyer status, this new partnership means that any traveller can enhance their pre-flight experience. Passengers can purchase the access at a designated reception desk in the main passenger terminal hosted by No 1 Traveller staff who will help them get through as effortlessly as possible, and also from No 1 Traveller staff situated around the terminal. In addition, travellers will also have the option to combine fast-track and lounge access to either of No 1 Traveller’s smart airport lounges, available to all passengers flying to international destinations, for just £15. Ideal for airports and even ports but beating a fast retreat from the streets of Britain’s capital are the infamous 'Bendy Buses'. Another 43 have been banished from the narrow streets of London. Route 73, which runs from Victoria Station (for Gatwick), will now be served by a fleet of double deckers. The route takes passengers along Park Lane and down Oxford Street then via both Euston and King’s Cross stations to Stoke Newington where they will now turn around. Sitting upstairs one gains a great view of some of London’s highlights. The conversion of route 73 means that seven of London’s 12 bendy bus routes have now been converted to single and double deck buses. The remaining five will be converted to double deck buses by the end of the year. Transport for London now estimates that when every bendy bus route has been converted fare evasion will be cut by around £7.4m a year. 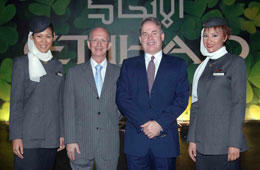 Emirates, based in Dubai, has announced that it will begin daily flights to Dublin from January 2012, marking its first route to the Republic of Ireland. It will compete with Etihad, currently operating a 10 times a week service between its home base of Abu Dhabi – just an hour's drive from Dubai – and Dublin. Emirates Vice President UK and Ireland, Laurie Berryman, said that he expects between 65% and 75% of the traffic originating from Ireland to consist of passengers travelling on from Dubai to destinations in the Far East and Australasia. About 70% of Etihad's passenger traffic from Ireland travels onward to destinations in the east, including countries such as Australia. An Airbus A330-200 will be deployed between Dubai and Dublin, offering First, Business and Economy Class. Europcar has become the first UK car hire provider to add the new Peugeot iOn to its fleet. This follows the announcement of Europcar’s global partnership with PSA Peugeot Citroen last October and responds to increasing demand for access to electric vehicles to rent. In truth the Peugeot iOn is the Mitsubishi i-MiEV in disguise. A review follows in Motoring Update. 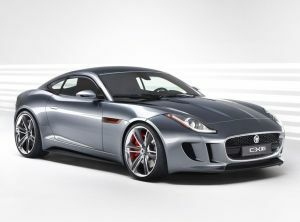 It is available at Europcar’s Heathrow, Gatwick and Luton airport locations. Vehicles are also available from King’s Cross – ideal for travellers arriving on the Eurostar – and at Marble Arch. Users do not have to pay congestion charges, nor parking in some London Boroughs. The car is delightful to drive but users should be very careful regarding the vehicle's range. You just can’t pop in everywhere and get a top-up. Nor does one always have the time for the charging, which is best done overnight but since Europcar only allow the little four door Japanese car out daytime that problem should not arise. On 14 November KLM Royal Dutch Airlines will launch scheduled service between Amsterdam and Quatro de Fevereiro International Airport in Luanda (Angola). Luanda will become KLM’s 71st intercontinental destination. 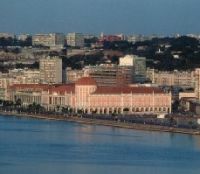 Twice-weekly service will be offered to Luanda using Boeing 777-200 equipment. This aircraft type offers seats for 318 passengers; 35 in World Business Class and 283 in Economy Class. Together with Air France, KLM will be offering a total of four weekly flights to Luanda. Passengers on Ryanair can now amend their booking even after they have made their on-line check-in. 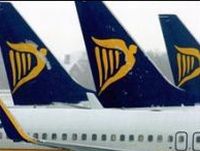 The service is available from Ryanair’s telephone reservation centres for £15 (per passenger, per flight). It will be particularly useful for frequent flyers and business passengers who may need to amend travel plans. It is available up to 17:00 (Central European Time) on the evening prior to scheduled departure. The on-line check-in fee applies to all reservations except in respect of certain promotional fares. It is charged on a per person/per one-way flight basis and amounts to £6 for bookings made via Ryanair's website and £12 for bookings made via a call centre or at the airport. From the UK, calling the Ryanair reservation centre (0871 246 0000) costs 10p per minute minimum and the service is not available in the evening. There is a priority line (0905 566 0000), again only open normal working hours, and here the charge is £1 per minute. It may surprise you but it is not built in Toulouse but in Seattle. The world’s longest passenger aircraft, a Boeing 747-8 Intercontinental, emerged from the paint hangar at Boeing’s Everett factory last week resplendent in Lufthansa livery. The German airline is the lead carrier for the new type, a precedent set back in 1968 with the Boeing 737. After completing extensive ground tests, the aircraft will undergo initial test flights in November, and is scheduled to go into service next spring with the registration D-ABYA. 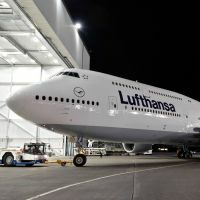 Lufthansa is the launch customer for the passenger version of the Boeing 747-8 and has therefore been involved from the outset in the design of the aircraft. The 747-8 has been stretched by six metres compared with the 747-400. The “Dash 8”, which no doubt it will be called (the DHC Dash 8 has been renamed the Q400) is 76.3m in length (250ft) and has a wing span of 224ft 7in (68.45m). Coverage of the 10th anniversary of the attack on the United States on Tuesday 11 September 2001 has been extensive. Plenty has been said but where were you on that terrible day when the United States was attacked? For all of us our whereabouts and movements are encased in our minds. We will never forget. For a generation that is now passing on of course the outbreak of World War II on Sunday 3 September is recalled, Americans have to deal with Pearl Harbour on Sunday 7 December 1941 and all what that means for them, your Editor vividly remembers Friday 22 November when John Kennedy died in 1963, and of course Princess Diana’s tragic death on Sunday 31 August 1997. Everyone has their personal poignant dates to reflect upon. With 9/11 there is one point that has not been mentioned in the blanket coverage as far as we are aware. The age of the highjackers! None of them appeared to be older than 33. Their manipulators had reached an age of maturity (rather than majority). Why is it the young are taken in by these perpetrators of evil? Is there some threshold reached when the shear pointlessness of such an act is understood? Does one ever hear of elderly suicide bombers? By the time a certain age is reached the value of life is understood. The lessons of 9/11 have still to be learnt. We can only hope for a better world. The conversion of Austrian Airlines short and medium haul fleet has been completed with 32 Airbus A320 family and Boeing 737s featuring in the programme. The airline’s long haul fleet will undertake a similar programme starting winter 2012/2013. The core element of the new cabin is a completely redeveloped seat from new, light materials. The seat’s innovative construction gives passengers up to 10cm more space for their legs and knees. Such is the way they are produced, up to five more can be fitted to each aircraft, a real bonus for the airline. They are also between three and five kilos lighter than their predecessor’s, a real bonus for the airline. The colour of the new design differs clearly from the previous Austrian image. The seats and carpeting are to be in an elegant grey, set off by accents in a typically Austrian red. The differential between business travel and flying for pure leisure purposes continues to be eroded as companies try to squeeze more from restricted budgets. bmi baby, now owned by Lufthansa, has become the first UK airline to offer an innovative scheme to try and cover both markets. Starting this week customers have three options when booking a flight: Fly, FlyPlus or FamilyFly offering a wide range of added extras, benefits and savings for one set price. ‘Fly’ is the standard ‘no frills’ package, representing great value for those looking for a flight only. ‘The ‘FamilyFly’ option is available whether travelling as a family or an individual and the benefits include 22kg of luggage allowance, seat assignment and priority boarding. ‘FlyPlus’ offers business travellers the flexibility to change their flights, as many times as they need to, take an extra piece of hand luggage and use airport executive lounges where available. The total price of each product is less than the cost of all the individual elements included. 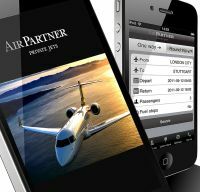 Air Partner, the aircraft charter provider based at Gatwick Airport, has unveiled what is claimed the first multi-lingual real-time iPhone app for private jet. The company, listed on the London Stock Market, and founded back in 1961, prides itself as being the only aviation company to hold a Royal Warrant from HM Queen Elizabeth II for the supply of charter aircraft. The app is free to download and is available in seven key languages – English, French, German, Italian, Portuguese, Russian and Spanish. The language displayed is determined by the settings on a user’s iPhone. A choice of 36 currencies is available in the cost calculator option. Users can obtain an estimated price based on their chosen one-way or return routing, the number of passengers and travel date(s). Search results also display the flight time, plus images and details about the aircraft offered (aircraft available range from very light jets seating four passengers to heavy jets seating 16). A GPS airport search facility and a favourite airport save function are optional. New Cathay Pacific Airways Chief Executive John Slosar used his keynote speech at the Aerospace Forum Asia to reiterate the airline’s support for the building of a third runway at Hong Kong International Airport (HKG) as the public consultation period for the proposal comes to an end. “Hong Kong is about connectivity and the sustainability of the Hong Kong economy and, therefore, the long-term prosperity and wellbeing of Hong Kong people is dependent on us continuing to provide and grow those linkages for the future,” he said. Mr Slosar also pointed out that the development of a third runway at HKIA is the only viable way to ensure the long-term competitiveness of Hong Kong as an important international financial, trading and logistics, tourism and professional services hub. 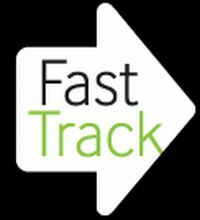 The ‘Business Travel Show’ once again returns to Earls Court, London, next February. The week starts off with the European Travel Buyer Awards, taking place on Monday 6 February, followed by the two-day exhibition on the Tuesday and Wednesday. Organisers Centaur are launching what they describe as the world’s biggest fully hosted buyer programme for the corporate travel market. The programme will bring 1,200 of Europe’s highest quality corporate travel buyers, each with annual budgets in excess of £3m and many for the first time. With each committed to at least four meetings, it also creates an additional 6,000 new business opportunities for the 180 exhibitors. In return for committing to – and attending – pre-booked meetings on each of the show’s two days, the show provides 1,200 strictly pre-qualified buyers with free flights and accommodation, fast-track entry and access to the First Class Lounge with complimentary refreshments and lunch. As of the time that AERBT was distributed (midnight GMT 12 September) Tripoli International Airport (TIP) remains closed to civil scheduled traffic, as does Libya’s other main flight gateway Benghazi. 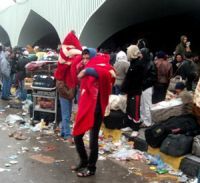 The Tripoli airport is about 20 miles south of the city. Turkish Airlines said in a statement that it would begin flights from Istanbul to Benghazi on 13 September and to Tripoli on 24 September. The airline's inspectors examined repairs to Benghazi's airport, damaged during the fighting, and decided it was ready for flights, the statement said. Tripoli flights will resume once preparations there were completed, it added. Turkey, which once had close ties with Gaddafi, is expected to take a leading role in multi-billion dollar deals to rebuild and develop Libya. Last week’s ON TOUR article by Jo Bacon on the perils of travelling to and within the United States provoked an interesting postbag, mainly of similar occurrences. However the one that took our eye was the following from Tony Hesketh-Gardener, commenting on what one might consider “the golden age of air travel”. Which reminds one of the joke regarding the Boeing Stratocruiser and its four engines. The problem with the aircraft was the lack of room for a fifth engine (think about it). The early 747s were no better, and we will not mention the (American) engine manufacturer’s name. Was it really the 'golden age’? Tony HG (now 75) went to public school, and on to Sandhurst. 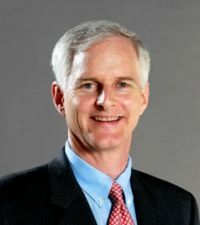 Back in civil life he launched Jane’s Defence Weekly and a number of other publications in the military field before resigning from the Board of Jane's to become the first European Director of Defense News. In later years he was very much involved with the Farnborough Air Show. One of the characters of the industry he considers himself a sportsman (retired) and a medical expert of sorts (having attempted to enter that field at the end of his school days). Jo Bacon certainly had a horrendously torrid trip. It makes me realise how very fortunate I was when I used to make four 10-day trips to the US every year from 1976 to 1986. In that time I would make 12 flights, flying into Washington DC on Sundays in order to attend the three day military shows at the Sheraton. I always left there after breakfast on the Thursday, have lunch and tea with clients in St Louis and dinner either in Ft Worth or LA before hedge hopping to visit various defence companies around the country. This meant taking 10 flights in five days, so schedules were tight, very tight. Once, when flying from St Louis to LA I was told that my flight had been cancelled due to fog, but was offered an alternative flight to Ontario. No, I did not know until that moment that there was a non-Canadian Ontario. TWA’s Ontario was just outside LA! The only other hiccup was when my TWA flight from LA to London had been cancelled and the clerk arranged for me to travel back on Pan Am. Although I was entitled to fly Business, my expenses budget would have covered only two trips, so I always flew tourist. Naturally, I was upgraded from time to time but was always treated wonderfully well in Economy. Furthermore, my baggage never went astray, ever; not even my skis or golf clubs. On one glorious occasion, I arrived at Heathrow to find that TWA had over-booked their Boston flight – I was going over one day early to spend the Saturday night with a client. Despite my Ambassador Club membership, all I was offered was a couch to sleep on in their lounge! So I moved 10 yards sideways to the Pan Am desk, presented my Clipper Club card and told them my hard luck story. One of the clerks said that they had one First Class seat available to DC and that he would arrange my transfer from there. He then asked that, as a Clipper Club member, if I would mind paying a Club Class fare instead of First! I offered my Amex card and his words were "That will do nicely!" Truly. On board, I asked the stewardess about the transfer and she said that she would make further enquiries. She later came back with details of my Eastern flight to Boston. When we landed at Dulles, she escorted me off the plane, took me to the front of the immigration line, stayed with me until my case arrived, led me through customs to the cab rank, gave the driver a slip of paper and told him to take me to National. When we arrived there, I asked how much I owed and he said that Pan Am were paying. There had been a lot of traffic around and I knew that I was too late for my flight. However, when I went to the check-in, I found that the flight had been held back 20 minutes to await my arrival! Naturally, I wrote a letter of appreciation to the Pan Am president, who replied within a few days. My letter had been opened by his PA, who happened to know me well as she was the wife of a dear friend and client, both of whom had stayed with us here in England and reciprocated the hospitality when I was in New York! Those were the great days of flying. Pan Am is no longer with us, nor Eastern or TWA. But the same airline that Jo Bacon had her troubles with was also flying, somewhat basic even then. Is there a moral in the story? An Air France flight in July suffered similar technical problems to the Airbus A330 that crashed into the Atlantic two years ago (AF447), French media reported last week, reigniting a debate over the disaster's causes. Air investigators told France's Le Figaro newspaper that the details of the latest incident involving one of the company's Airbus jets might make them think again about what made flight AF447 crash in the middle of the South Atlantic in 2009. Blame has not been appropriated but the investigation reports published so far have highlighted mistakes said to be made on the flight deck. Pilots' unions and Air France insist the faulty flight equipment was mostly to blame. 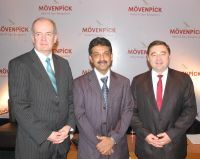 With the PATA show in Delhi in mind, Swiss hotelier Mövenpick has formally opened its first Indian property at Bangalore whilst ITC Hotels have announced the November introduction of a 600-room flagship property in Chennai. Conveniently located near the main business districts of the city and a 30-minute drive from the airport, the Bangalore Mövenpick boasts a stunning water feature at its entrance and an illuminated glass staircase, lending a warm feel to the corporate traveller focused property. The 5-star hotel has been designed as a contemporary business destination whilst also offering exciting leisure opportunities for relaxation, dining and entertainment. Cambridge Airport’s seventh annual Business and General Aviation Day (BGAD11) takes place Tuesday week 20 September 2011. The popular low-key event has attracted close to 50 exhibitors including Embraer Aircraft, and Cessna who is sponsoring the media centre. Not to be outdone Embraer is bringing its new full fly-by-wire Legacy 500 simulator, currently on its world tour. Hilton’s historic Athenee Palace in Bucharest has been joined by another brand of the global group, DoubleTree by Hilton. The upscale full-service property is located next to the Bucharest City Business Centre complex in the heart of Romania's capital city. 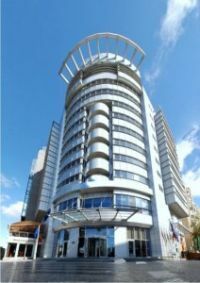 The 88-room hotel is within minutes from the Lipscani historic quarter, Unirii Square, Unirea shopping centre and Bucharest Mall, with easy access to the city's business, commercial and tourism interests. 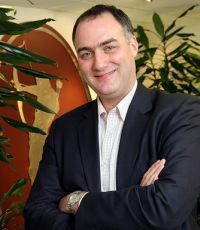 Rob Palleschi, Global Head, DoubleTree by Hilton, announced at the ceremonial opening further extensions of the brand in the Romanian cities of Ploiesti and Oradea. The DoubleTree by Hilton Bucharest-Unirii Square features a 24-hour business centre and 2,150sq ft (200m²) of flexible meeting and conference space. Hotel guests may also take advantage of leisure recreation facilities including a fitness centre, sauna and a spa treatment room. Every guestroom features complimentary high-speed internet access, LCD televisions, safes, and in-room tea and coffee making services. Additional on-site amenities include 24-hour in-room dining, laundry, concierge and travel desk services. 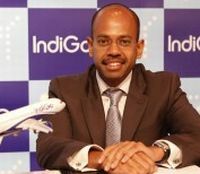 Following its five-year operations requirement IndiGo, India’s fastest growing airline has launched its first international services, daily return flights from Delhi to Dubai. Founded in 2006 it currently operates 43 Airbus A320 aircraft and earlier this year, announced an order for 150 of the new NEO version of the aircraft, one of the largest aircraft commitments ever known. Effective 2 October 2011, the airline will also connect Dubai with Mumbai. Currently the airline offers 259 daily flights connecting 26 destinations – Agartala, Ahmedabad, Bengaluru, Bhubaneshwar, Coimbatore, Chennai, Delhi, Dibrugarh, Goa, Guwahati, Hyderabad, Imphal, Indore, Jaipur, Jammu, Kochi, Kolkata, Lucknow, Mumbai, Nagpur, Patna, Pune, Raipur, Srinagar, Trivandrum and Vadodara. The Pacific Asia Travel Association (PATA) Travel Mart 2011 took place in New Delhi last week. In spite of a world depression over 1,200 attendees joined the three-day annual travel trade event, organised by PATA and hosted by the Ministry of Tourism, Government of India. The amount of floor space booked, the number of buyer organisations and the number of seller delegates attending was the biggest since 2008. Chiltern Railways Mainline has arrived (as previewed in last week’s AERBT) one of the biggest breakthroughs in UK train operations in recent years. The £250m investment will shake up the market with a faster, business-focused service between London and the West Midlands. 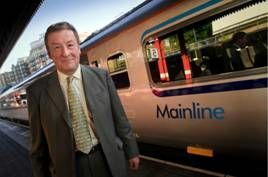 Two years in the making, the new service has slashed train times by up to 30mins on some services. Not only has the company speeded up the trains, it has restructured fares and restrictions, enhanced what is on offer on-board, increased car park capacity at key stations along the route and improved station facilities. An enhanced on-board train experience will maximise use of travel time. Electric cars are all the vogue, or are they? 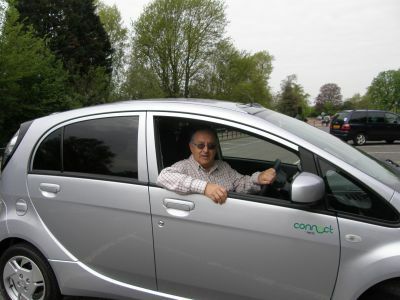 When AERBT’s Editor in Chief was offered the opportunity to test drive a Mitsubishi i MiEV (which stands for Mitsubishi innovative Electric Vehicle) he jumped at the chance. Our regular motoring expert,Ted Wilkinson of the Guild of Motoring Writers, will have to wait with his new Peugeot 508 contribution until next month. Readers may recall a short impression of the vehicle when Hertz recently demonstrated the Mitsubishi and also the Nissan Leaf at their Marble Arch depot in central London. And that is the problem with the fascinating Mitsubishi. It really is great for getting around London, or any other big city, but its limited range (something less than 100 miles) prohibits use for any distance travelling although it is an excellent, and silent, Motorway operator at the 70mph legal limit. Just like any other car the harder you push it the lesser the range. When that is limited in any event the problems start to mount. The initial acceleration is outstanding, ideal for city travelling. However topping up the car is not easy, even if a (usually free) power point can be found. Overnight at home in a garage it works well but leave the car for just a couple of hours with a standard plug and the battery indicator still indicates a problem. Three phase chargers can add 80% power in 30 minutes, but they are rare. You actually have to look up on the web where the car can take up energy. In essence it is a small four door 2006 released vehicle, competent in the way the Japanese now finish off their small cars but all very plastic and including GPS. The vehicle petrol heritage is easily spotted. You plug in the electrics in the normal filler position. Inside, the only changes are the addition of a battery meter, while the auto box is swapped for a selector with two modes – Drive and Eco. It is a well kitted out car at the top end of the mini market. You get all-round electric windows, central door locking with keyless entry, heated driver’s seat and wing mirrors, CD player and air conditioning. Compared with the standard i, the rear engine, transmission and fuel tank have been removed, replaced by the motor and electronics. A thin bank of lithium ion batteries is under the floor. It's all properly production-tested, so you can drive through deep water unharmed. One word of warning. When driving around in busy pedestrian areas be particularly vigilant. The car makes no noise. Walkers hardly notice it. Mitsubishi i-Miev is priced at £28,990, which drops to £23,990 when the government's £5,000 electric car grant is taken into account. It is not subject to Congestion Charges symbolic perhaps for what is an expensive vehicle. It is probably ideal as a run around for a company with a central London location/garage where executives who wish to drive themselves can have some fun when moving around the capital. Hiring from Hertz is much the best option. Cost is just £4 per hour or £40 for 24 hours, but that includes a full charge. In practical terms it is by far the cheapest way to get to central London from Heathrow for a single person, and ridiculously cheap for four. The future is probably electric and full marks to Mitsubishi for pushing ahead with their innovative vehicle. But it has not quite arrived yet.